Guess what suffers the most in your house with faulty, leaky gutters? Your house’s basement. And for homes that do not have a basement, your house’s foundation. The effects of not having the gutters maintained properly can cause backed up gutters to slosh the water onto the ground. And falling water will splatter dirt on the wall where the problem exists. How will the splattered dirt be cleaned up afterwards? With the garden hose? Adding more water to the already saturated soil? Lacking the proper maintenance to your gutters can flood your basement and erode your foundation. The soil can only absorb so much water, and that water needs to go somewhere. Water will find a place to fill, and if it can’t, it will make one. Finished or unfinished basements do not matter to water that has leaked in from the source. Ignoring the problem can cause mold to grow in the dampness. The solution? Show your home’s gutters that you care. Take the time to inspect the gutters and the problem where the gutter overflows and leaks. You will be surprised what you will find… decomposing leaves that have turned into nutritious matter, giving birth to oak tree saplings and other flora. Just call that gutter salad. Some people think its cute and rustic, some don’t get it, and those who do, are itching to help their neighbor clear that gunk out to extend the life of the gutter and the ground below. Clear the clutter out of the gutter. Install gutter guards – you can do it yourself, or hire a local contractor to do it for you. 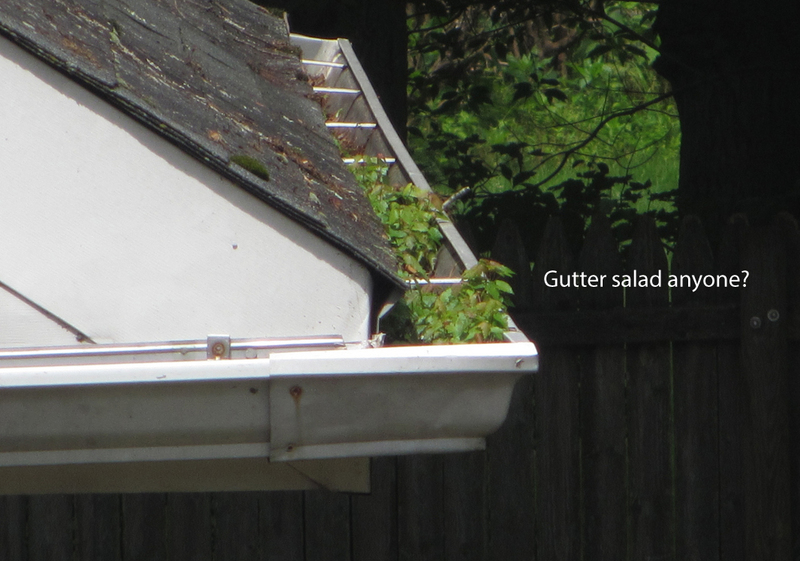 Gutter guards make life much simpler than having to crawl up a ladder and reaching over to clean that gutter salad out.